Decision making theory is a favorite subject of ours. We have a few outstanding books in our library, and have written on topics such as confirmation bias (the Yes-Man in your head) and how great entrepreneurs think. 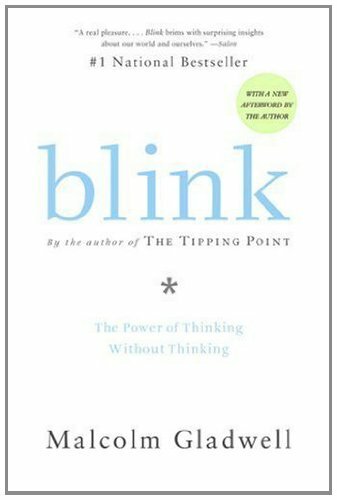 One of those outstanding books is Malcolm Gladwell’s Blink: The Power of Thinking Without Thinking, which argues that rapid cognition (the thinking that happens in first two seconds’ worth of instant conclusions) is powerful and important and occasionally really good. This is unlike “gut-level” decisions because what happens in those first seconds is perfectly rational. It’s “thinking that moves a little faster and operates a little more mysteriously than the kind of deliberate, conscious decision-making that is typically associated with ‘thinking’.” In some cases less input – provided it’s the right input – can be better. 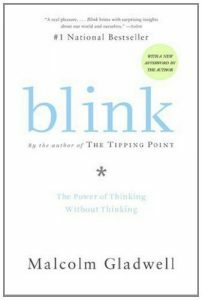 We thought we heard faint echoes of this idea at HBS Working Knowledge in a piece on “deliberation without attention” only to learn the author of that similar-sounding formulation was actually positing something approaching the opposite of Gladwell: a rational theory of gut-level decision making. Here is an example of unconscious thought. Imagine you are listening to a song and can’t remember the name of the artist. You try to think hard, but are still unable to come up with it. So you tell yourself, “I’ll stop thinking about it, and it will come to me in a minute.” This is fascinating. In fact, there is an automatic process that continues to work on your question in the back of your mind. We call that process “unconscious thought.” Unconscious thought can do more than just help you remember facts. It actually has the power to fuel the creative process. Have you ever found yourself struggling with the wording while writing a paper, but after taking time away from it, you’re able to quickly find the right words? This is your unconscious mind at work. While our conscious mind is focused on other matters, our unconscious mind can process the relevant information we need to make important decisions. Research by Bos and his colleagues suggests that unconscious thought supports the kind of mental organization needed for making complex decisions in which a large amount of information must be integrated, and might even be more dependable than conscious thought when we are low on energy. On the other hand decisions which require the application of strict mathematical rules benefit from conscious thought, which is very good at selecting options that conform to decision rules. Bos and his colleagues have experimented with the use of cues (sounds or smells), delivered while subjects are asleep, to enhance unconscious decision making. So far they’ve seen encouraging results in the areas of memory retention and creative performance. Those experiments – the use of cues on the unconscious mind – overlap with other recent research on the use of cues to alter the semi-conscious mind (habits). More on that in Part II – Friday.